It is hard to believe that over 20 years ago I was entering my freshman year of college. It is also hare to believe but I don’t think my mother gave me any sort of money talk before turning me loose. I think it is super important, especially in these easy credit times, to send kids off to school armed with money management tips college students should know. That is why I am so happy to have an expert, Anthony ONeal, share with us what we should teach college bound kids about finances. Anthony ONeal has helped thousands of students make good decisions with their money, relationships and education to live a well-balanced life. Anthony has joined Ramsey Solutions to spread this encouraging message to students nationwide as a Ramsey Personality. His national best-selling book, Graduate Survival Guide: 5 Mistakes You Can’t Afford to Make in College, was released April 2017. I have included my amazon affiliate link below for your convenience. 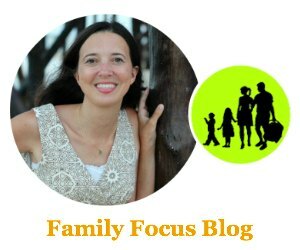 Parenting a child who’s approaching or already heading into the college years can be a challenge. College is an exciting time of life, full of big choices and exciting opportunities. But let’s face it, it’s also a stage of life that can bring temptations—money troubles in particular. If you have a few concerns about how your child will handle their money in college, you’re not alone. But I’ve got some great news for you: With the right approach, your child can navigate college and come out the other side in better financial shape than ever! In fact, my own early mistakes with money and the lessons I learned inspired me to write a book, The Graduate Survival Guide, about winning with money in college. Let me tell you how it all came together. I’ll never forget my own early financial experiences as a young college student—or the insane credit card bill I racked up when I was just 18 years old. The folks who signed me up for my first credit card told me it came with a free T-shirt and a pizza. You know I was ready to take the free stuff all day long! I got both of those, but they were far from free. They came with consequences no one had warned me about. It started with a few thoughtless purchases—a dinner out, a shopping spree for gifts—but it added up quick. In a very short time, I found myself in $15,000 of credit card debt. Man, that was an expensive pizza! Somehow I hadn’t realized the stuff I was buying and enjoying on credit was going to come due as a bill. Throw in the student loans I had taken on, and I was getting into some serious financial trouble. My thoughtless spending and poor money habits caught up with me at the age of 19. Just one year into college, I was $25,000 in debt and—for a short time—even sleeping in my car. I know that’s a pretty bleak story, but it has a happy ending. I got out of debt and learned the right way to handle money. And your child can win with money despite a world of pressure to do otherwise. It’s true! As a youth pastor and speaker, I’ve met, worked with, and walked beside many young people who graduated college as strong budgeters with a clear plan for the future and no debt—and so can the college student in your life! While your child is in college, they can lay a solid financial foundation by focusing on just five priorities for managing their money. With this foundation in place, at least two great things will happen for them: They will be in a strong position to build wealth throughout their life, and they will gain an awesome amount of self-discipline to help them in their career. Here are the money management tips college students most need to know. 1. Save a $500 Emergency Fund. It might not sound like a lot. But $500 is usually enough to see a college student through most of the financial emergencies that come up, like a broken phone or computer. I know you’re going to want to help them out as you’re able, but it’s also a great idea to let a young person feel what it’s like to solve a money problem with their own money—instead of using yours or a credit card. 2. Get Out of Debt. You probably remember from your own time on campus that college students are a major target for credit card companies. Help your child understand that going into debt is no way to start adulthood. If they already have credit cards, encourage them to cut those up and pay them off. The sooner they’re debt-free, the sooner they can begin using their money to go after their dreams. 3. Pay Cash for a Car. Most college students will need a car either right away or soon after graduating. But the need for wheels is no excuse to take on a big monthly payment, let alone a payment that can end up costing you twice the value of the vehicle. Paying cash will save your child a lot of money—and they will get a lot more enjoyment from something they actually own. 4. Pay Cash for College. You’ve probably noticed student loans are getting out of hand in America. In 2016, The Wall Street Journal reported that the average college student is graduating with more than $37,000 to pay back. That’s insane! Let your child know that paying for tuition and books is no different than paying for food and gas. By paying for college with cash, they’ll immediately be able to use their pay for things they want instead of paying off debt for years. 5. Build Wealth and Give. This one is my favorite, because there’s no better feeling than the one you get while using your money to help those you care about. The Bible reminds us, “It is more blessed to give than to receive.” And who has the most freedom to do a lot of good with their money? Those who have been fortunate enough to stay out of debt and build wealth. One more tip: You might think your child can only build this foundation if they begin early in life. Believe me, that’s not true! It’s never too early to start, but it’s also never too late! So be encouraged: Whether your child is just beginning to think about college or is already enrolled, they can apply these principles to take full control of their money—in school and beyond. 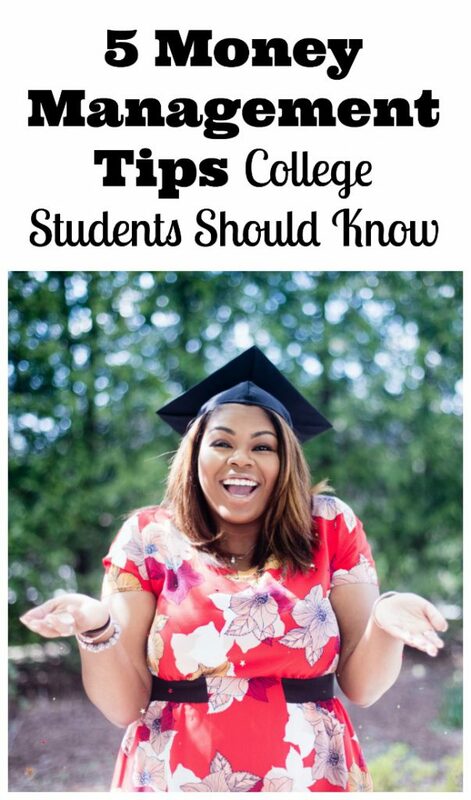 I hope you found these money management tips college students need to learn helpful for starting a conversation with your child about preparing them for college. You can follow Anthony ONeal on Twitter and Instagram @AnthonyONeal and online at anthonyoneal.com for more great tips on making good decisions with your money. Which of these money management tips college students should know is the one you wish someone had told you about when you went to school?